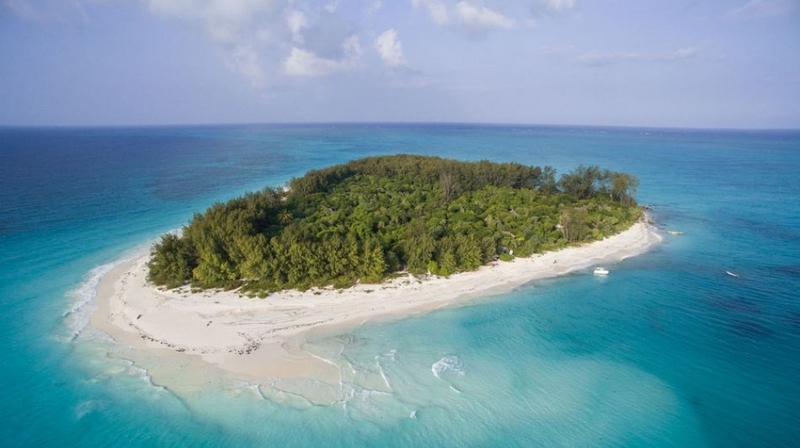 This exquisite castaway island lies just 3 miles off the northeastern tip of Zanzibar Island, Tanzania. With its white coral sand beaches and spectacular coral reefs, this idyllic gem is renowned as one of the world�s most romantic retreats. 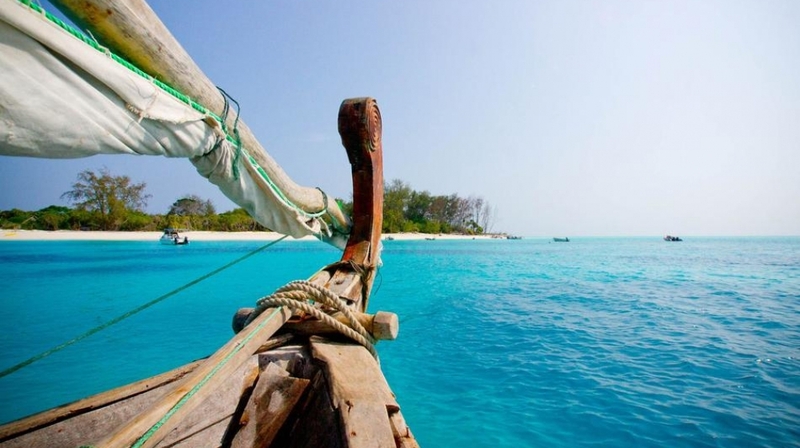 Mnemba Island Lodge offers guests the perfect destination to get away from it all. 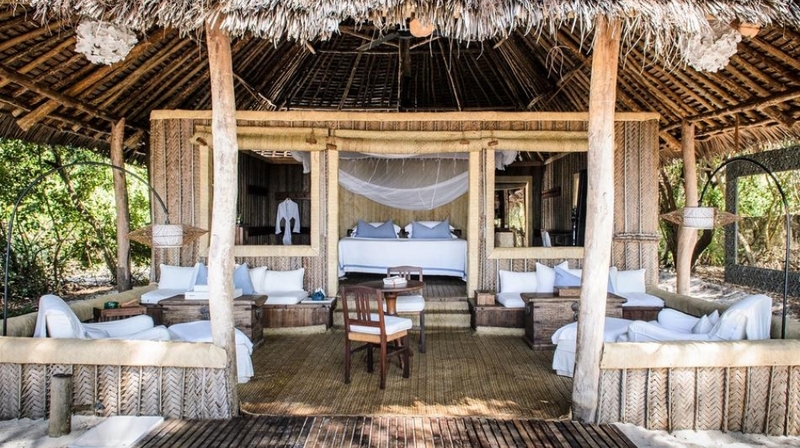 With just 10 palm-frond guest bandas on the entire island, the only intrusion may be a silent visit from a curious Suni antelope or two at sundown and where the dawn is greeted by dove song and the smell of coconut bread baking in the woodstove. The balmy blue waters of this barefoot paradise invite you to truly live out your castaway dreams. 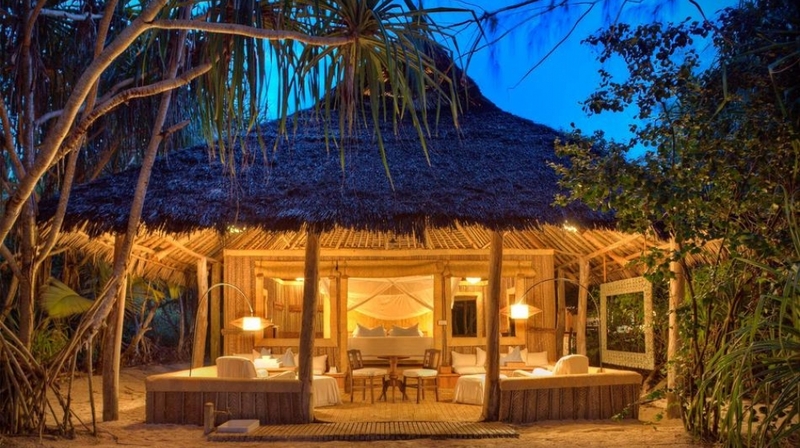 Mnemba Island Lodge features just 10 secluded thatched Zanzibari bandas. 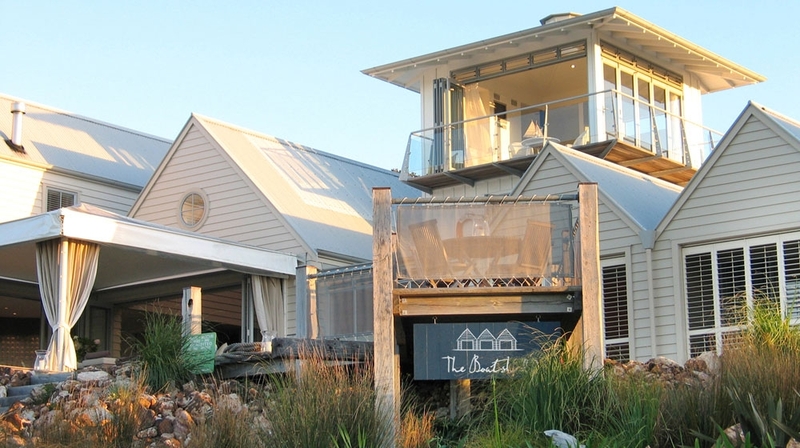 Sea breezes waft through high palm-frond roofs and large windows in your beachside banda. Overhead fans in a spacious bedroom filled with soft, natural fabrics and traditional woodcarvings cool down the warm tropical nights. Stretch out on the built-in barazas on your veranda or settle into a plush armchair to enjoy the ocean view. 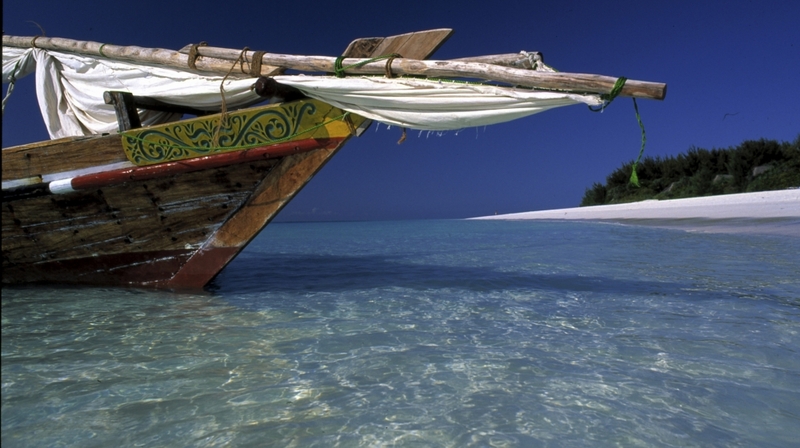 Traditional Zanzibari loungers in your private beach sala invite you to spend time in the sun. A shady corridor of woven palm leaves leads to a large shuttered ensuite bathroom which features a huge glass beaded shower, double hand basins and separate WC. 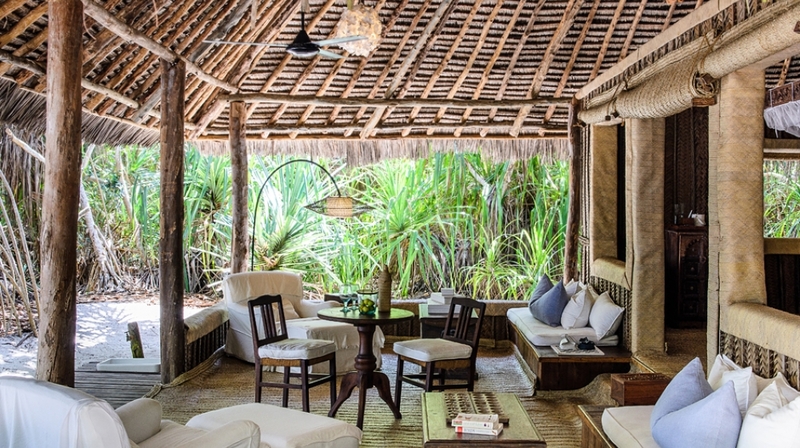 Should you tire of your solitude, open thatched dining and sitting areas provide the perfect place to watch the sun set. 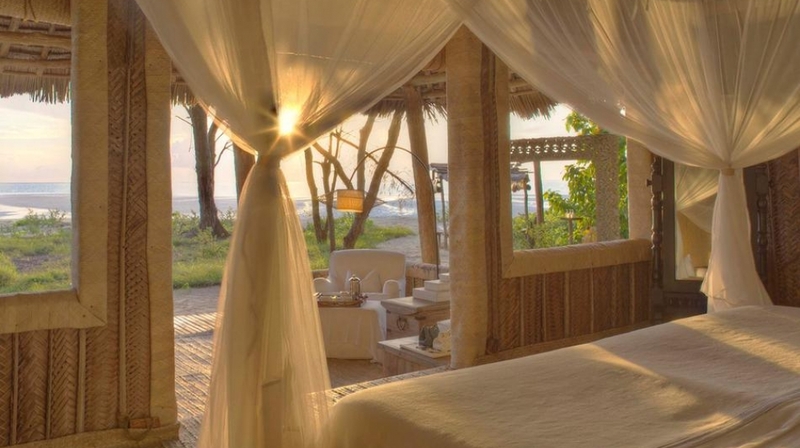 Deep pillows and low wooden tables open up onto majestic views of the white beach with the hazy outline of Zanzibar in the distance. There is a small library with a selection of books, games and magazines. 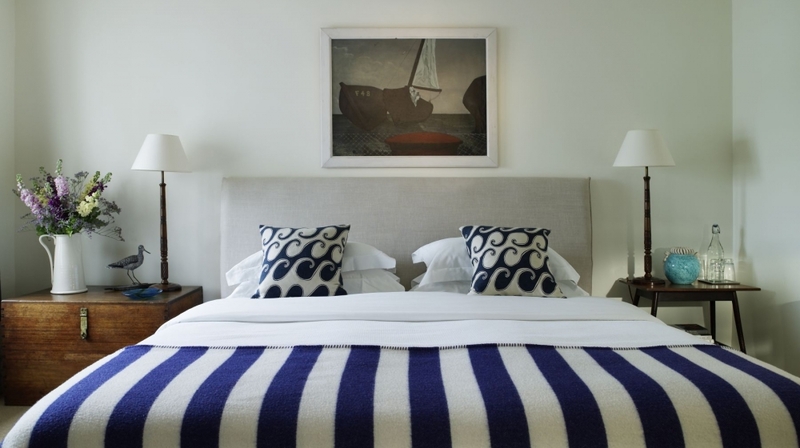 Guest areas are all open-sided, cooled by sea breazes and are informal and relaxed. 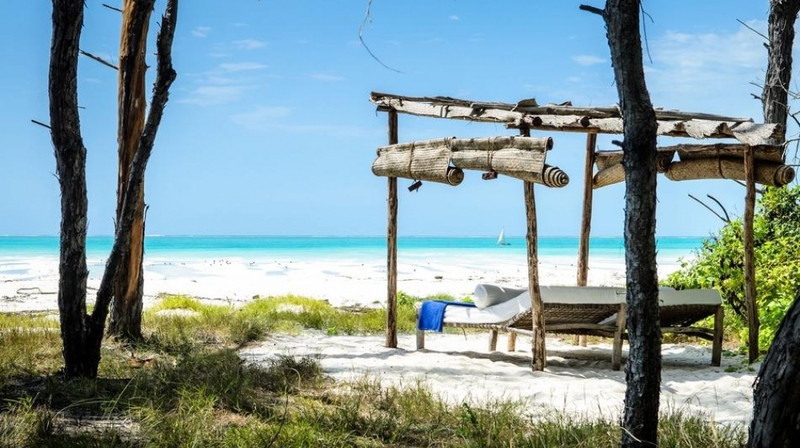 The pristine white beaches of Mnemba, surrounded by deep blue ocean, combine to make this intimate island your own private tropical paradise. While the dazzling sands and brilliant sunshine invite you to spend idle hours on shore, magnificent coral reefs create an underwater wonderland that lures you to explore the warm, crystal clear waters of the Indian Ocean. 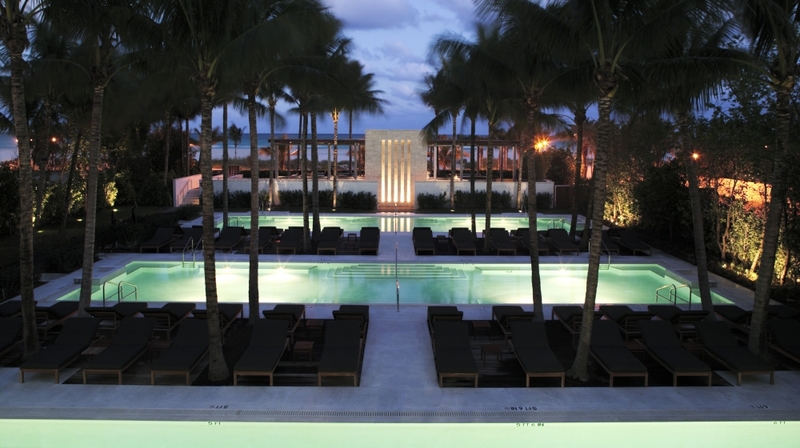 Scores of snorkelling and diving sites form a gateway to a world of incredible sea creatures. 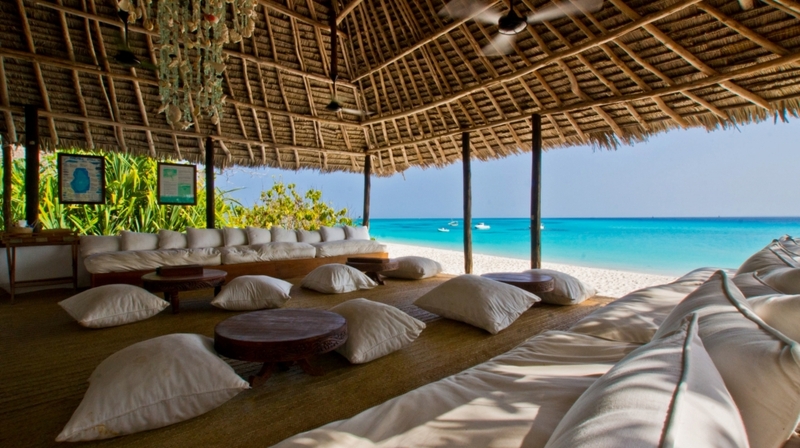 Thatched dining and sitting/bar areas have beautiful open views of the beach and spectacular vistas of Zanzibar beyond. Renowned for its excellent cuisine, baskets of fresh fruit, fish, lobsters, crabs and prawns are sailed into Mnemba daily on traditional ngalawa outriggers. Enjoy lunch served on large, wooden carved platters, heaped with delicious mezze. 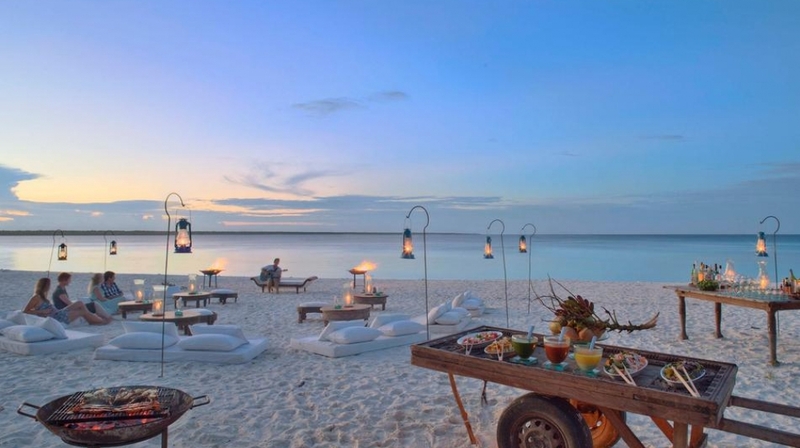 Later, when the magnificent African sky lights up with stars, romantic candle-lit dinners are served on the beach, with the bright moonlight reflecting off the waves as they gently lap on the beach.